Having kick-started our UK Road Trip with a circular route around the Lake District, we thought we’d head away from the Cumbrian countryside for our next trip and instead head cross country towards Yorkshire. Our planned route starts in one of the most popular destinations for those paying a visit to the Lake District; the bustling village of Bowness-on-Windermere. 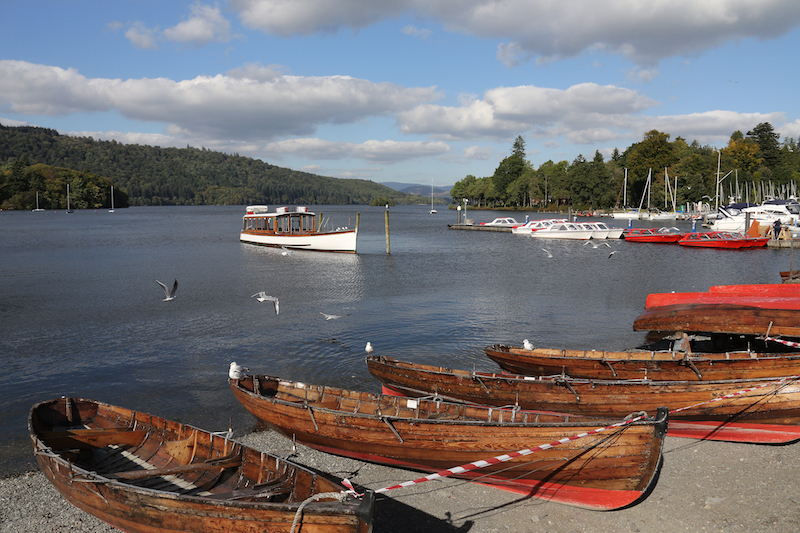 Situated at the mid-point of Lake Windermere, Bowness is worth exploring before you hit the road, with a wide selection of shops and galleries alongside a varied collection of dining options – from restaurants and pubs to sandwich shops and takeaways. Depending on how much of a rush you are in, you could head down to the main Promenade to enjoy a cruise onto Lake Windermere or pay a visit to the World of Beatrix Potter in the heart of the town – where the famous characters created by the popular children’s author are brought to life. Over the course of 2017, Bowness’ Jetty Museum is due to open after undergoing extensive redevelopment work to provide the opportunity to explore a variety of historic boats that once sailed on the lake. Leaving Bowness via the steep climb from the village centre up Crag Brow towards Windermere, it’ll be just a matter of minutes before you find yourself in another of the Lake District’s more popular destinations. 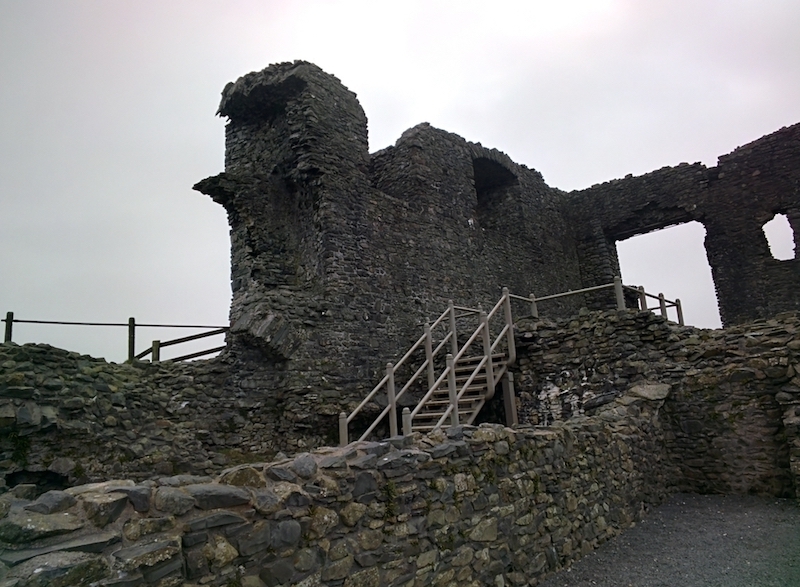 As in Bowness, there is a range of small local businesses that are worth exploring if time allows, with your ongoing route then taking you out of the village to the main A591 trunk road. Turning right towards Kendal, the road heads further up away from the shores of the lake, with stunning views down across the water on a clear day. Driving through green countryside past the villages of Ings and Staveley, the A591 will bring you to a large roundabout on the hill above Kendal, with the option of bearing left down into the town, or taking the second exit onto the bypass that takes you onwards to the M6 and the A65, which you follow towards Skipton in order to rejoin our route later on. Taking the road towards Kendal, you’ll drop down into the heart of the market town, with the easiest way to navigate what can be a complicated traffic system being to follow signs for Skipton (A65). As the road sweeps round alongside the River Kent, there is ample free parking if you want to get out and explore the shops whilst having crossed over the river, you could decide to park up on one of the small side streets to take a stroll up to Kendal Castle; the ruins of which stand above the town streets. Reaching the end of Aynam Road, follow signs for Westmoreland General Hospital to leave Kendal along the A65, passing the Leisure Centre before bearing left at the traffic lights to head towards Oxenholme on the B6254. Winding it’s way through the Cumbrian countryside, the road will eventually bring you to another market town where you might want to get out and stretch your legs, with the narrow streets of Kirkby Lonsdale featuring many old buildings that reflect traditional techniques used in the building trade in years gone by. 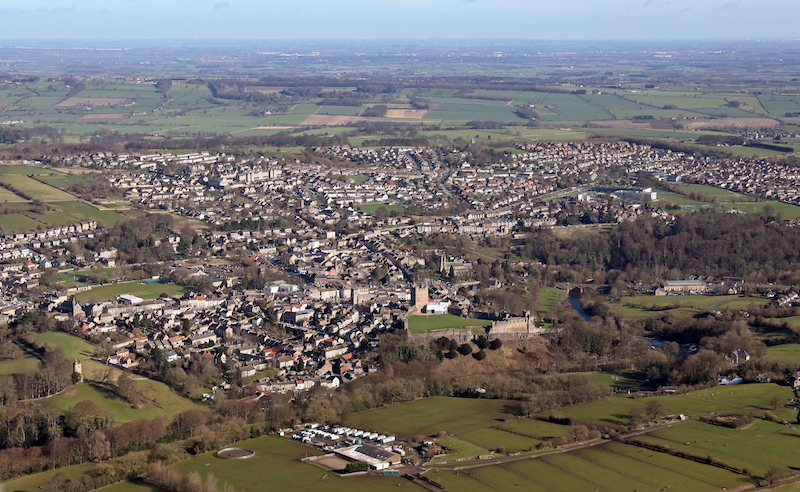 Passing through the centre of town, you’ll then come to the A65 to rejoin the main road, which is the route you’ll have followed if electing to forego a trip into Kendal to follow the bypass earlier on. Turning left towards Skipton, you’re only minutes from Devils Bridge; a location that has long been popular with bikers who meet regularly on weekends during the summer months. You can also expect to see people swimming in the waters around the bridge and diving from the top into the River Lune below; although such activities aren’t recommended for safety reasons. 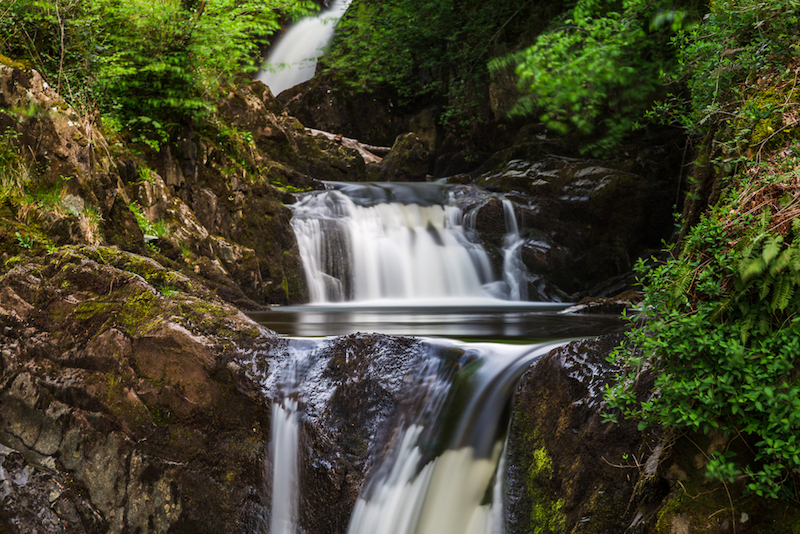 Just under six miles along the A65, you’ll reach the village of Ingleton and the entry to the Yorkshire Dales. Turning left onto Main Street as you enter Ingleton, you’ll arrive in the heart of the village where you’d be well advised to park the car and head off to follow the Ingleton Waterfall Trail; a picturesque circular route running to 4.3miles that provides impressive views of the many falls that are to found running along the River Doe and the River Twiss. Back on the road, enter the one-way system that takes you through the village centre until you reach the junction with the B6255, where you need to turn left towards Hawes. Climbing out of the village, you’ll be able to take in stunning views of the rolling hills that surround you as you reach the summit before you arrive at the Whitescar Caves. The cave is the longest show cave anywhere in the UK and stretches for miles underground, with guided tours that provide the opportunity to explore a range of interesting rock features including the Witch’s Fingers, the Judge’s Head and the Devil’s Tongue. There is also a visitors centre and a café on site. Continuing along the B6255, you’ll drive through open countryside before the majestic sight of the Ribblehead Viaduct comes into view. 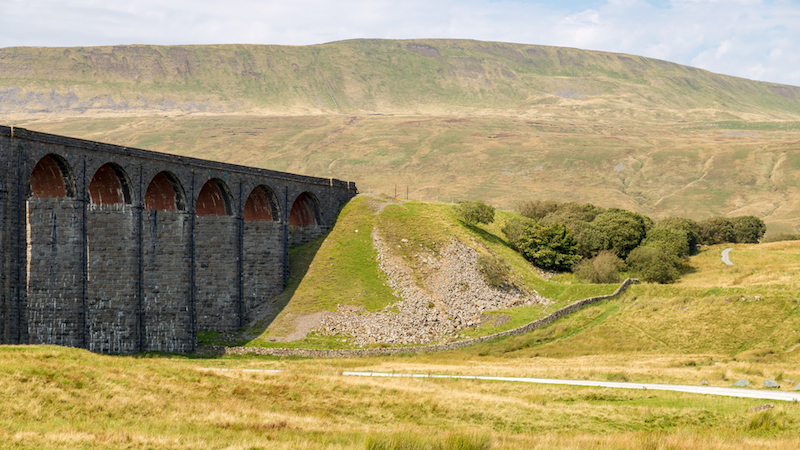 The 400 metre long viaduct carries the Settle-Carlisle railway and dates back to the 1870s; with the TV series Jericho having been inspired by the building of the huge structure. There is a pub on the roadside close to the viaduct and plenty of parking for those who want to take a walk and get closer to the 24 giant spans, whilst slightly further from the road is the Force Gill Aqueduct; which carries water from Force Gill above the railway. Onwards from Ribblehead, you’ll need to be aware of the possibility of sheep wandering into your path as you cross a cattle grid and continue onwards to Hawes in the heart of the Dales. As you drop into the village, you need to turn right onto the A684 which will lead you into the heart of Hawes. Here, you might decide to visit the Wensleydale Creamery on Gayle Lane or the Dales Countryside Museum. 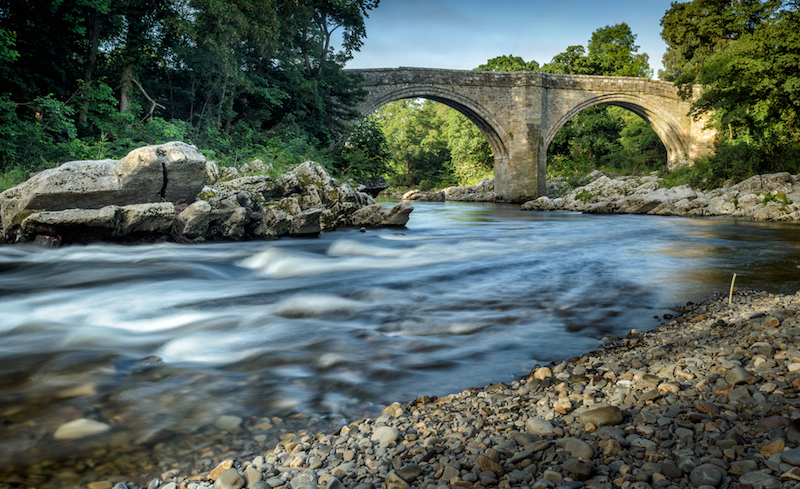 Leaving Hawes behind, the A684 takes you through the Yorkshire countryside to the village of Bainbridge, where you turn right to continue with the journey towards Leyburn; passing though Aysgarth, West Witton and Wensley - and running alongside the River Ure - en-route. As you arrive in Leyburn, there is plenty of parking in the Market Square if you want to stretch your legs, before taking the A6108 out of the town. Passing through Bellerby, you’ll reach a junction where the A6108 goes left towards Richmond – but we’ll continue onwards towards Catterick Garrison. Warnings about the speed limit for tracked vehicles provides an indication of the military area in which you are about to find yourself. Travelling across Barden Moor and onto Range Road, don’t be shocked if you come across a tank travelling in front of you as you drop down into the Garrison and pass the army barracks. Arriving at a roundabout where you’ll have an ALDI supermarket in front of you, take the first exit onto Richmond Road and then follow the A6136 for just under three miles to the end of our route in the quaint market town that sits in the shadow of Richmond Castle; one of the greatest Norman fortresses in Britain. Whilst the route is one that can easily be covered in a matter of hours given that it covers less than 80 miles, the fact there is so much to see and do – particularly in the early stages – means it may be worth splitting the trip across a few days to fully appreciate everything the Dales has to offer.